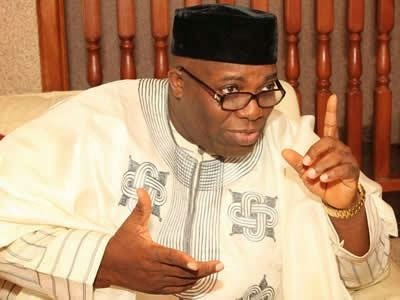 Doyin Okupe, the Senior Special Assistant on Public Affairs to President Goodluck Jonathan took to Twitter some hours ago to talk about the insecurity issues of Nigeria in a rather … enterprising way. @flavagasted - Now @doyinokupe is trying a new career #PastorDoyin. 3) Elijah was a man like me.B4 God whom I serve my pronouncements over Boko Haram shall come to pass IJN.Alewilese will answer us.Thanks folks. @apcyouthomoodua - @doyinokupe Even the DEVIL knows the scriptures! 4) I am not corrupt in anyway. There is nothing I hv I cannot account for. @JanguzaArewa - @doyinokupe yep just like Jona tried 2 convince us dat $20blln didn't disappear from national accnts bcuz "America will know". please, return 2 ur hosanna tweets. Even armed robbers after "successful" operations thank God 4 the bounty! @mcspella - @doyinokupe so after queuing up in d sun 2 vote u in, we still have to do fasting and praying 4 God 2 solve d same problem we voted u in 4? @kaytemmy123 - @doyinokupe Millions of Nigerians are already praying against BH, the physical requirement is for GEJ to pin down & destroy BH and sponsor. As soon as they began singing, the Lord Confused the enemy camp, so that the Ammonite & Moabite Troops attacked & completely destroyed those from Edom. Then they turned against each other & faught until the entire came was wiped out!" ...2nd Chronicles 20, 21-23.